Foreign Affairs | United We Blog! China’s Political and Economic missions in Nepal: Investment- Yes, Interference- No. More Chinese investments in Nepal is very much welcome because this will help us become self-sustained and independent. The Chinese private sector is looking at Nepal as an investment destination. This was the message Chinese businessmen tried to convey in the 11th meeting of Nepal-China Non-Government Cooperation Forum in Kathmandu on Thursday (16 Sept). With China’s financial muscle getting stronger, Nepal’s hydropower, tourism and agriculture sectors are on its investment radar. 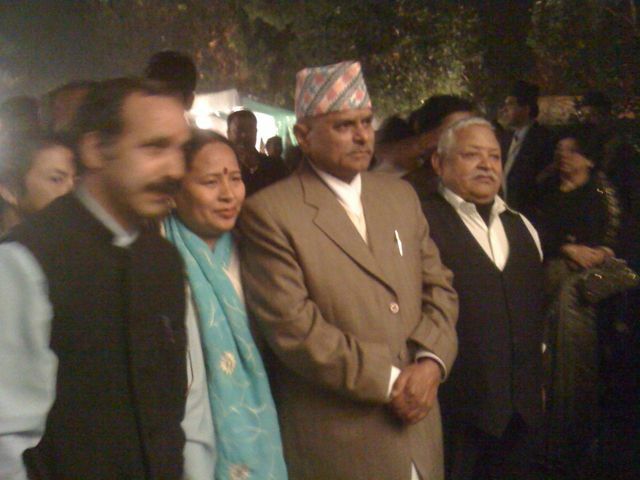 Their seriousness can be gauged by the fact that a high-level 40-member team came to Nepal to attend the forum. And most of them, according to Chinese ambassador to Nepal Qiu Guohong, are from reputed companies. The business delegation led by the All-China Federation of Industry and Commerce (ACFIC) first vice-chairman Quan Zhezhu, who is also a vice-minister, had entrepreneurs from established and renowned Chinese private companies in the areas of tourism, aviation, metallurgy, real estate, medicines and mechanical engineering. Addressing the inauguration session, Qiu set the tone by saying that the power shortage in Nepal is an important opportunity for Chinese companies to be involved in hydropower development in Nepal. China’s interest on hydropower development was evident from the fact that the businesspersons told their Nepali counterparts that they wanted to invest in hydro projects ranging from 10 MW to 500 MW. Sept 14: A 47-member team of Chinese entrepreneurs, hydropower experts and power developers arrived in Kathmandu on Tuesday (Sept 14) to attend a high-level conclave organised by the Federation of Nepalese Chambers of Commerce and Industry (FNCCI). Prime Minister Madhav Kumar Nepal will inaugurate the three-day “brainstorming session,” which Nepal’s top bureaucrats, policy makers and entrepreneurs will attend. “Investment in Hydropower” will be the 11th initiative in the Nepal-China non-Governmental Cooperation series started in 1996 during the visit of then Prime Minister Sher Bahadur Deuba to China. Vice Chairman of the National Planning Commission Dr Jagadish Chandra Pokhrel, Foreign Secretary Madan Kumar Bhattarai, Energy Secretary Shanker Koirala and entrepreneurs from the Nepali hydro power sector will participate in the conclave. Nepal and India had orgainsed such a conclave for two consecutive years after Jana Andolan II in 2006, with Nepal Electricity Authority and Power Trading Corporation of India as the lead agencies. During the three-day segment, entrepreneurs and experts from both sides will give their perspectives on Nepal’s policy and investment opportunities on hydropower, and more importantly, how China can help the hydro power sector in Nepal. Quan Zhezhu, vice-minister of the United Front Work of CPC Central Committee (UFW) and party secretary of All China Federation of Industries and Commerce (AFIC) will lead the Chinese delegation. epresentatives from Snap Power Company, Sino Hydro and Dtang Company are interested in investing in the hydro sector in Nepal, said a government official. Kumin and Xian provinces that have extensive experience in developing hydropower and grid extension are also in the Chinese delegation. “China wants to engage its state owned companies in Nepal’s hydro power sector, utilizing its huge foreign currency reserve. This is a clear indication that China wants to extend its quick growth to Nepal to tap our hydro power potential,” a senior Foreign Ministry Official said. Export and Import Bank of China (EXIM), Gezhouba Company, the builder of Three Gorges Dam are also interested in investing in Nepal, said sources. It has been revealed that Indian government wanted machine readable passport printing contract from Nepal. 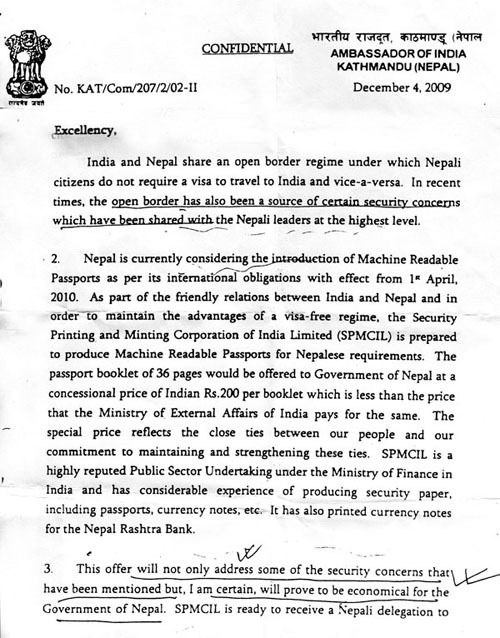 A confidential letter (above, page 1 and below, page 2) written by the Indian ambassador in Kathmandu to the Nepali foreign minister was disclosed today which clearly indicates it was the Indian government that had sought to get the contract for printing nearly 4 million Nepali passports. 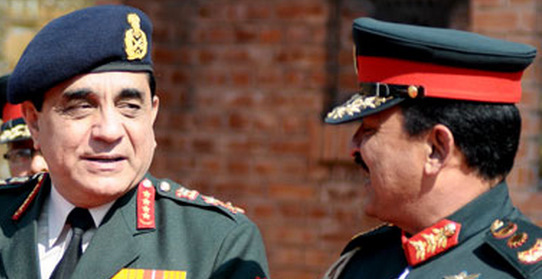 It was not clear who leaked the letter to the Maoists- the Indian Embassy or the Nepali Foreign Ministry. In the most important and busiest day of his four-day maiden visit to India, President Ram Baran Yadav on Tuesday (today) met several top Indian leaders including counterpart Prativa Patil, Prime Minister Man Mohan Singh and Indian National Congress chairperson Sonia Gandhi. Gandhi, unarguably the most important leader of present day India, went to the Taj Palace hotel to meet the visiting president in the evening. Before Gandhi, several key cabinet ministers and vice president Hamid Ansari called on the Nepali leader in the hotel. Foreign minister SM Krishna, Finance minister Pranab Mukharjee, Home minister P Chidambaram met the president separately. A new appointment was added in the schedule in which India’s new national security adviser Shiv Shankar Menon paid a courtesy call on the president. Commerce minister Anand Sharma and chief of the Congress party’s international department Dr. Karan Singh accompanied Gandhi. Indian media may have ignored the Nepali presidential visit but the warm and high-level welcome that the President got from the Indian political leadership was noteworthy. Some may interpret it as India’s strong approval of the President’s anti-Maoist stand back home. Prior to the marathon meetings in the hotel the Indian president formally welcomed the Nepali guest in a ceremony in the presidential palace with a 21-gun salute. National anthems of both countries were played during the colorful ceremony. Later in the day, the Prime Minister had lunch with President Yadav in Hyderabad House that is near to the Prime Minister’s office. All key members of the Indian cabinet were present. Nepal and India signed on a new air service agreement and three memorandums of understanding related to development of railway infrastructure in five bordering points and construction of polytechnic institute in Hetauda and a city hall in Birganj. None of the issues are new though. The Indian press, busy in covering the aftermath of Pune blast, the Maoist attack in West Bengal and impending India-Pakistan talks, didn’t care much about the Nepali presidential visit but the warm and high-level welcome that the president got from the Indian political leadership was noteworthy. This will be interpreted in some quarters in Nepal as India’s strong support to the new Republic in Nepal especially in the context of recent visit by ex-king Gyanendra during which he met some top leaders including Sonia Gandhi. 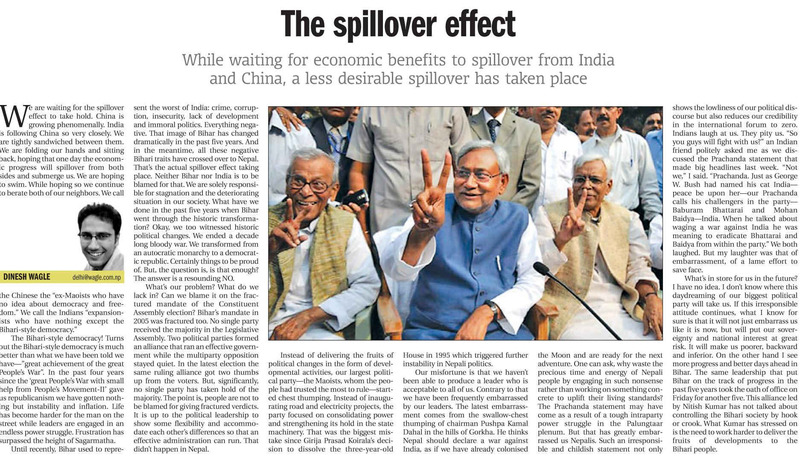 Or, in some other quarters, it could be interpreted as India’s strong approval of the President’s first year in office in which he angered the UCPN Maoist, the largest party in the constituent assembly, that resulting in the former rebel’s exit from the government and the political chaos that exists in Nepal now. Dr Ram Baran Yadav has started his first foreign trip (to India) as the first head of the state of the republic of Nepal on Monday (today). President Yadav, who landed in Delhi’s IG International Airport this afternoon, started discussions with Indian leaders at the Taj Mahal Palace Hotel where he is staying. Top opposition leaders Lal Krishna Advani and Sharad Yadav paid courtesy call on the president. In his meeting with the President, Sharad Yadav, leader of Janata Dal United, asked if the constitution would be written on time in Nepal. He also inquired about the challenges for the completion of drafting a constitution on time. Leader of ruling Nationalist Congress Party, D P Tripathi, also paid a courtesy called on the President. Similarly Indian foreign secretary Nirapuma Rao also met the President in the evening. The president is scheduled to meet his counterpart Prativa Patil, Prime Minister Manmonah Singh, Foreign Minister SM Krishna and other leaders including United Progressive Alliance chairperson Sonia Gandhi on Tuesday. Air Service Agreement and a Memorandum of Understanding with India on constructing Railway infrastructure will be signed at the ministerial level on Tuesday. Similarly two other Memorandums of Understanding on constructing a Polytechnic institute in Hatuda and a Friendship Building in Birganj will also be signed at the secretary level. The railway infrastructure MOU is about extending Indian railway links to five border points with Nepal. President will go to Haridwar on Wednesday. State Minister for External Affairs Praneet Kaur had received the president at the airport. The president attended a dinner party hosted by the Nepali ambassador to India Rukma Shumser Rana at the Nepali Embassy in New Delhi in the evening. Will they do it? A day after burning copies of some Nepal-India treaties they term unequal including the Sugauli Treaty, the 1950 Peace and Friendship Treaty and the Mahakali treaty in Kathmandu and other parts of the country the Maoists today said that they will take up the issue of border encroachment during their leaders meeting with visiting Indian foreign minister SM Krishna, who reached Kathmandu today on his first official visit to Nepal. During a meeting with Indian Minister Krishna scheduled for tomorrow, Maoist leaders including Chairman Pushpa Kamal Dahal will insist on scrapping the 1950 Peace and Friendship treaty between Nepal and India, resolving the encroachment of border problems, publicising secret treaties signed between the two nations and redefining the ties between the two countries on the basis of equality. “We will discuss by focusing mainly on four or five issues including the scrap of unequal treaties, border disputes, improve relations between the people of the two counties and review treaties in the interest of both the counties,” said Maoist Spokesperson Dinanath Sharma, talking to Radio Kantipur today. Sometimes, I wonder why the official Nepal-India relationship doesn’t become as friendly and earthy as the down-to-earth friendship I enjoy with some Indians here in Delhi. Why doesn’t the bond between the two countries become as affectionate and emotional as the bond itself? The bond being that of roti aur beti (bread and daughter) that has brought families across the open border closer together.